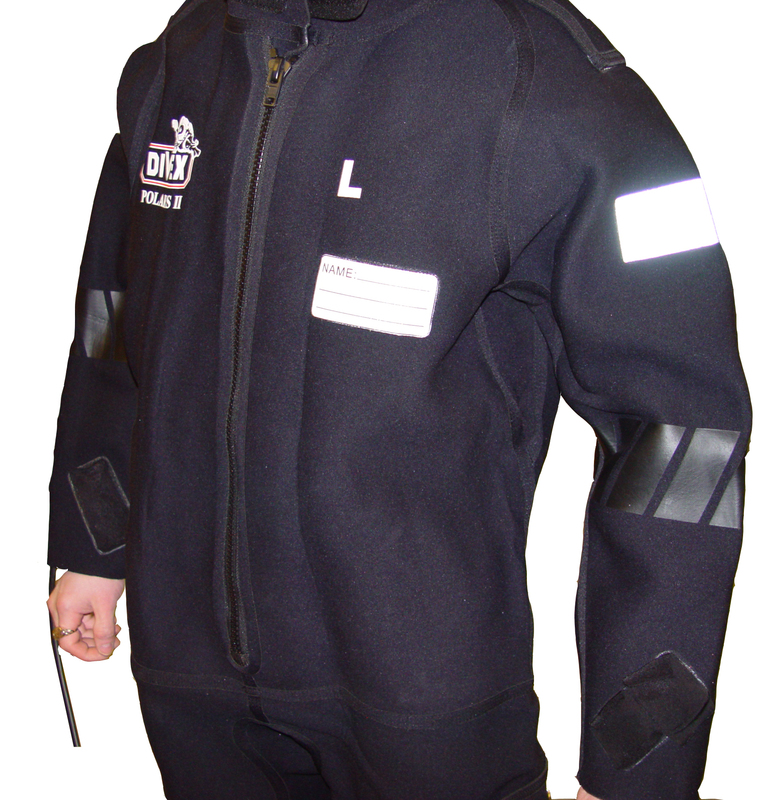 Maximising wear resistance and optimising diver comfort, the Divex Polaris hotwater suit reduces hotwater scalding, skin rashes and itching. Utilising the concept of a hard outer shell that can be worn with a soft inner liner, the Polaris II hot water suit represents the latest advanced product from our Stirling manufacturing facility. 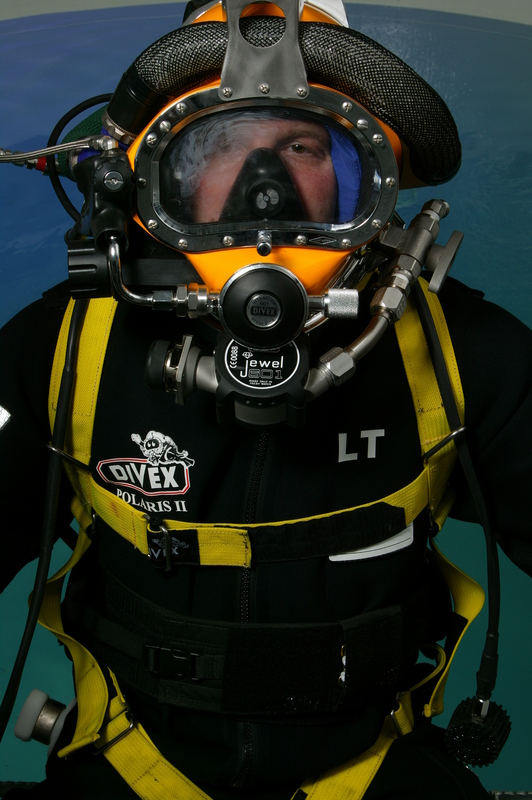 The CE certified Polaris II suit body is manufactured from 4mm specially pre-compressed neoprene to avoid shrinkage problems that can occur during decompression and saturation diving. The outer lining is made from a specially bonded industrial grade material to ensure abrasion resistance. Extremely durable as well as comfortable, the outer shell has a swivelling hotwater manifold with an easy grip handle and the suit has a high flow capability of up to 30 litres per minute. Medium / tall 5'0" 50" 29"
Large / tall 5'4.5" 52" 29.5"
Extra large / regular 5'5" 54" 30"